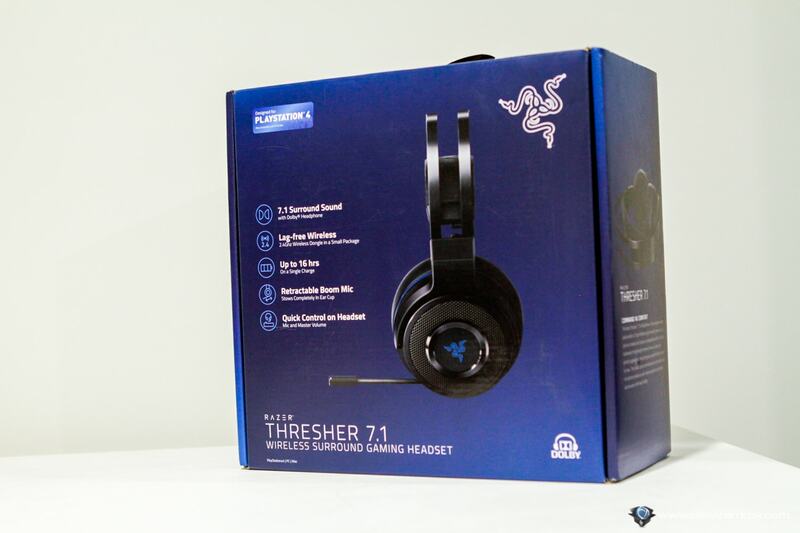 Razer Thresher 7.1 Review - Thresh your opponent with ease! 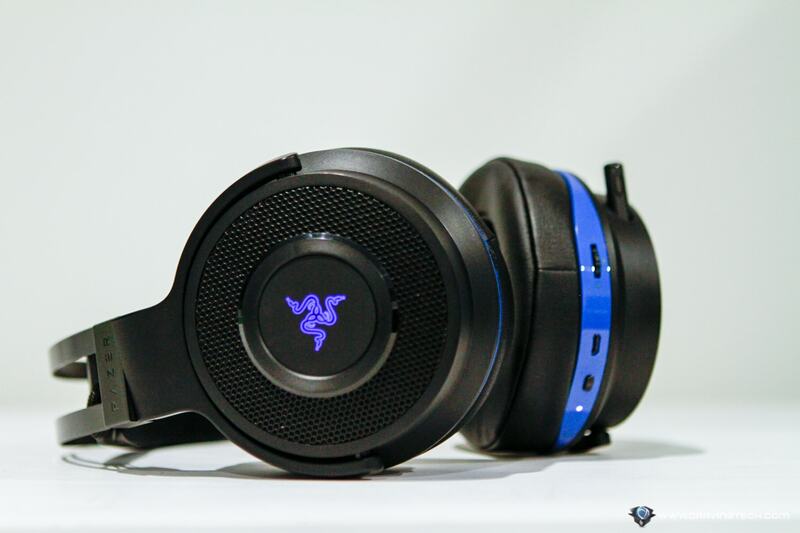 Razer Thresher 7.1 Review – Most gamers play on multiple gaming platforms. I, for example, have a Gaming PC powered by Intel Skylake, PS4 that I got from Gumtree, and also a Nintendo Switch. 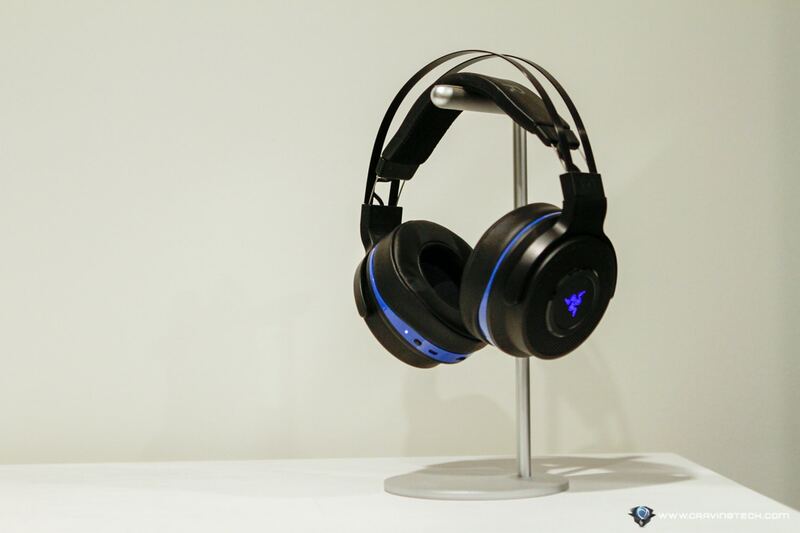 If you like playing Overwatch on a PC and maybe Rainbow Six Siege on the PS4 with your friends, the Razer Thresher 7.1 wireless gaming headset for PS4 (and PC) will be your best friend for many months to come because you don’t have to buy a separate gaming headset. 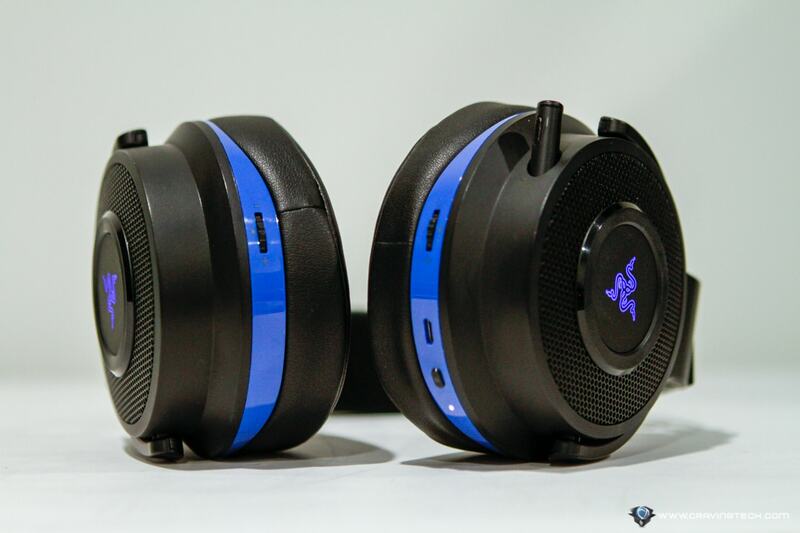 Razer Thresher has a different signature theme compared to the Razer Kraken (with a more prominent green and different headband style) and similar, but slimmer than the recent Razer Nari. Razer Thresher 7.1 looks big and bulky, but in real life, it’s actually very comfortable and somehow feels light when worn (though it’s supposed to weigh 400 grams). In fact, it feels somewhat lighter than my favourite, weigh-less, SteelSeries Arctis Pro. The headband auto stretches to fit the size of your head and the leatherette ear cushions also feel light around my ears. It’s not overly padded and doesn’t warm up my ears somewhat (though we’ll have to wait for Summer to test this out). It overall has a nice, steady fit on the head, i.e not pressing or too tight. I did have a few jump scares thanks to the wonderful, passive noise isolation and powerful sound output. It supports virtual 7.1 Dolby Surround Sound if you like them, and the Thresher 7.1 gives a really good audio positioning when playing first-person-shooter competitive games. I play Overwatch daily and I like how I can distinguish many different sound coming from different directions at the same time. I could accurately pinpoint an enemy step more than once and warned a teammate that he’s about to get flanked. Controls are located on the headset such as volume controls and microphone controls (that I barely touched). The microphone boom is also retractable. I wish the volume control can be bigger/longer, but personally don’t have any issue trying to reach it out with my finger. 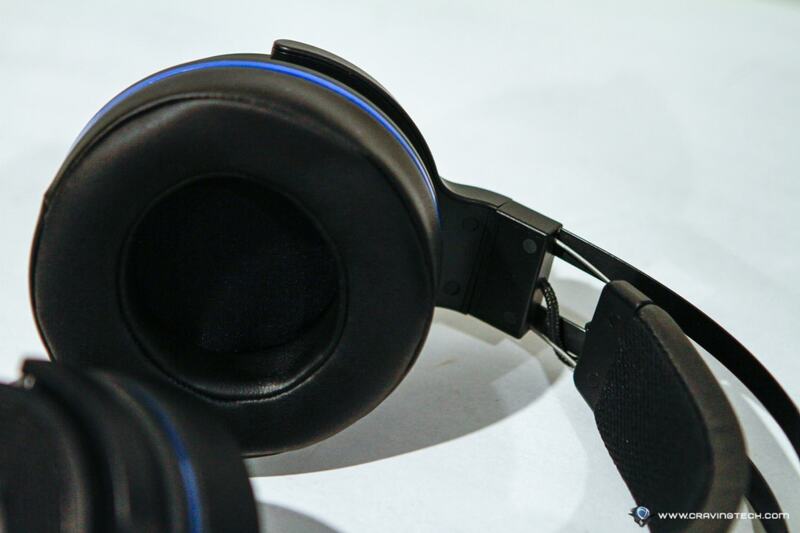 According to the Razer specifications, Razer Thresher 7.1 Wireless gaming headset has around 16 hours of battery life on a single charge (with 4 hours of charging time). I play about 2-3 hours a day and only recently got a beeping sound as a low battery warning after almost a week. Thankfully, you can use the headset as it’s being charged. Note that the headset does not have a 3.5mm jack, but it does come with optical cable & a USB wireless dongle. Bad luck if you want to use the headset to listen to music from your phone. Headset will also beep to warn you if you are too far from the receiver. Overall, Razer Thresher 7.1 is unexpectedly very comfortable to wear for hours, and its powerful 50mm speaker drivers do deliver by giving the ‘oomph’ we want from gaming (and movies). I didn’t notice any distortion on a higher volume and the sound positioning definitely gets a tick from me, tested on Overwatch for PC. With a superior audio positioning, you’d always know what’s happening on the battlefield and can pinpoint enemies before you even see them. Thrashing your opponent does come easier. 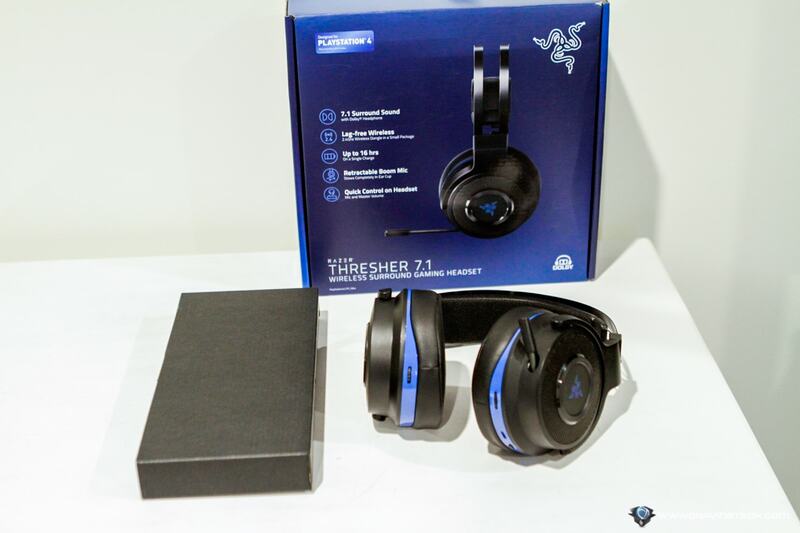 If comfort, powerful sound, and multi-platform (PC & PS4) compatible are your main requirements, then Razer Thresher 7.1 should be quite high on your list. 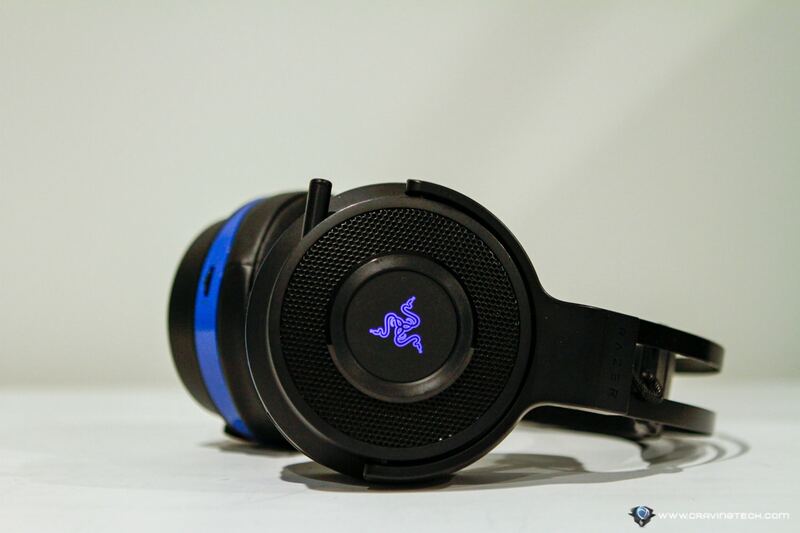 Razer Thresher 7.1 has an AU$249.95 RRP and available at Razer’s website and major retailers around Australia. It’s also on Amazon. Previous articleLuxury redefined. Dyson Supersonic Limited Edition comes in 23.75 karat gold!